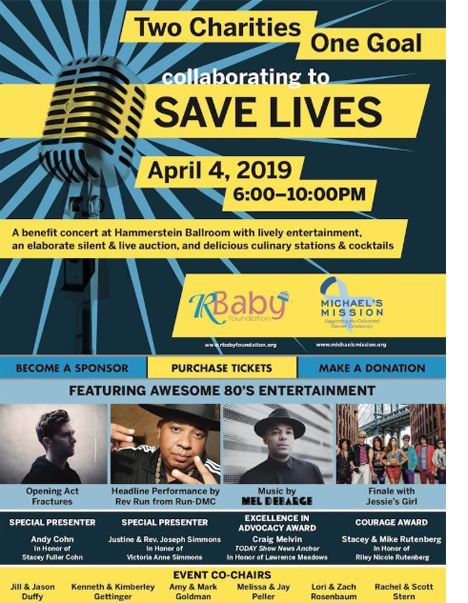 On April 4th, Pop Rocks® will participate in the charity event that will take place at the Hammerstein Ballroom in New York, where more than 1,000 attendees are expected. The event will be set in the 80s and will feature the musical participation of Rev Run of Run DMC, among others. The organization of the event is in charge of the R-Baby Foundation together with the collaboration of Michael’s Mission. Both foundations are focused on saving the babies lives: the first one through improvements in pediatric emergency care and the second one through improving quality of life and treatment options. Both organizations want to invest in research, education and training to improve treatments and their results. For this reason they have gathered for an exceptional event with a single purpose: donations that save lives. Pop Rocks®, supports the cause and will provide popping candy for the elaboration of delicious cocktails and providing a fun experience to all guests in the Pop Rocks® Cocktail Bar.